In a recent survey, we asked you what you wanted to see on Monochrome-Watches. 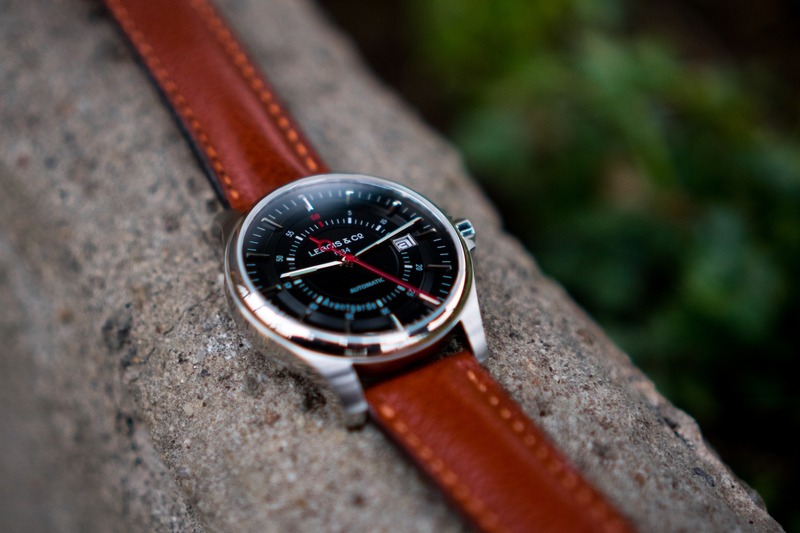 The answer was clear: more technical explanations (and our solution is the Technical Perspective) and more affordable watches. 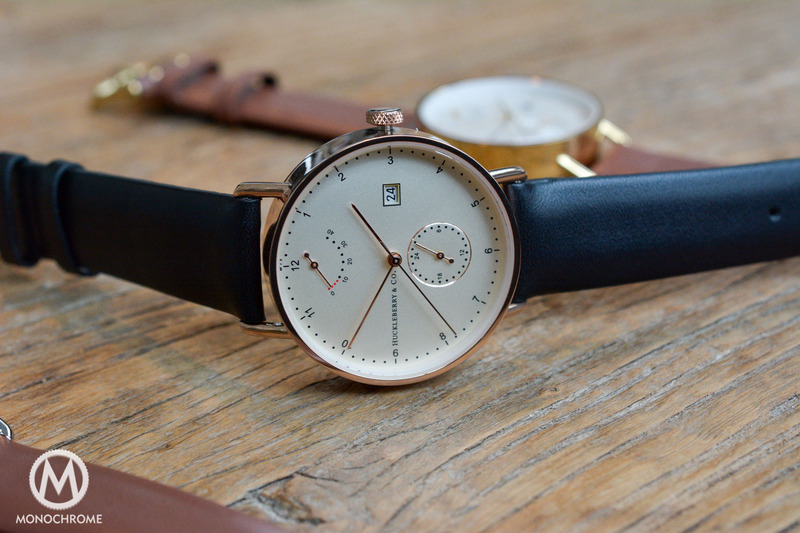 However, we’re selective and we’re not going to show all the watches priced under 1,000 EUR / USD. However, this one is a Monochrome favorite, which we already showed to you, with the first edition launched via a Kickstarter Campaign. It seems that success knocked at the door of the founders as today, a second campaign with a second edition of the Lebois & Co Avantgarde Date, now in sapphire blue, is available for Kickstarter contributors (see here). At Monochrome-Watches, we’re after all big fans of watches, of all things related to watchmaking and of technical aspects. Right, this is no surprise. On the other hand, and this is also the result of our passion, we have a soft spot for stories behind the brand and for personalities, for a link between a product and its designer. 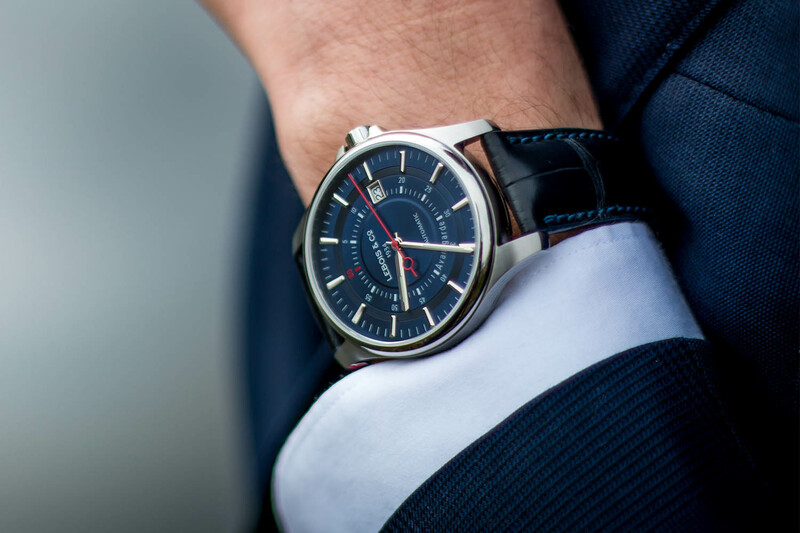 This is why we are so enthusiastic about independent watchmakers – and this is why we are happy to share with you this new Kickstarter Campaign of Lebois & Co, following a first successful one that we shared here. The story of Lebois & Co and of the Avantgarde Date started Tom van Wijlick and his wife Eveline, both collectors and entrepreneurs (and extremely nice people too). After seeing an 80 years old watch stamped Lebois & Co on the dial, they made some researches about this unknown brand. This then lead to the re-registration of the brand name and the re-launch of this forgotten watch brand: Lebois & Co. Exactly eighty years after the original company was founded, the brand was resurrected. However, creating a brand and launching a collection of watches from scratch is something extremely complicated and highly expensive. 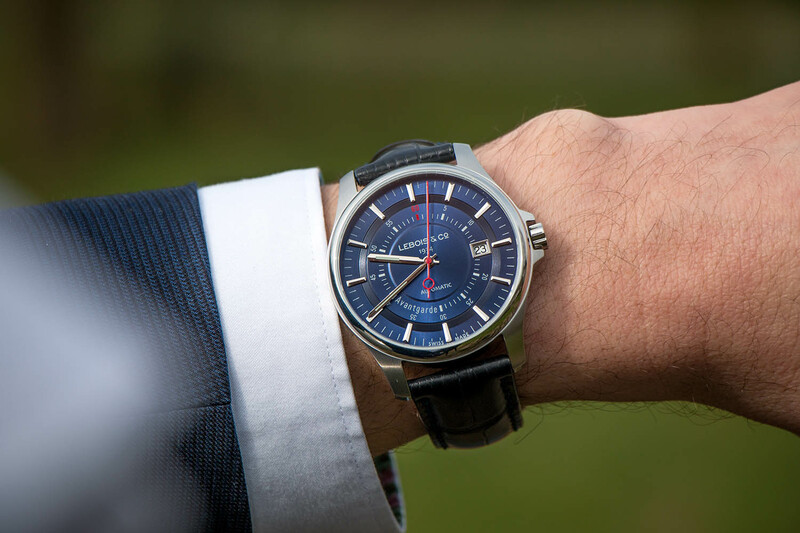 In order to help him to launch its project, Tom started a crowdfunding with a Kickstarter project – which ended with the creation of the Lebois & Co Avantgarde Date First Edition. 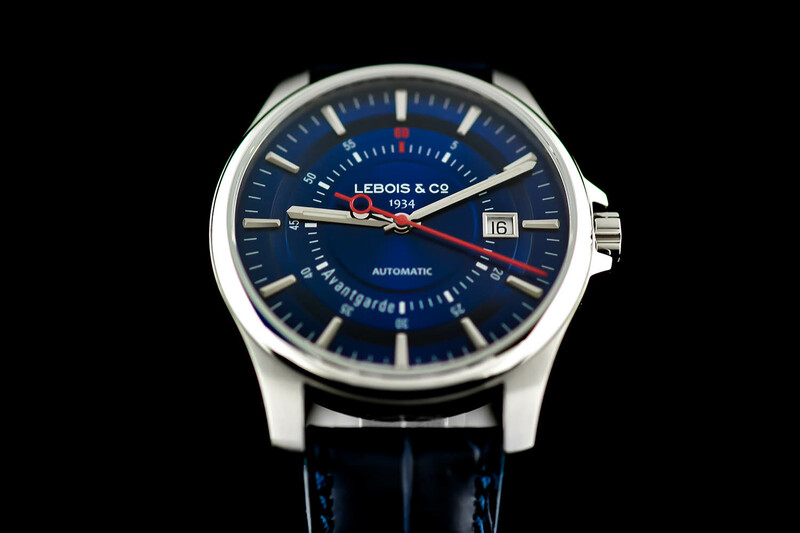 Helped by the success of the first campaign (the watches were all sold and later produced), Lebois & Co continues the story with a second edition of the Avantgarde Date, now with a sapphire blue dial and strap, also financed via crowdfunding and a Kickstarter campaign – that you can find here. 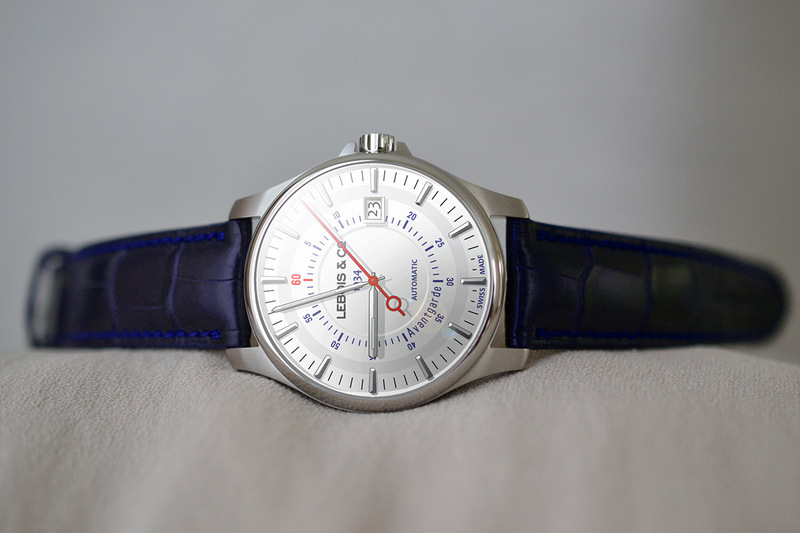 The Lebois & Co Avantgarde Date is a nicely designed watch, with a 40mm stainless steel case, a bit sporty, yet elegant that features polished surfaces on the flanks and satined finish on the flat surfaces, for a pretty qualitative feel on the wrist – the watch look really more expensive in the metal than its price tag (975 Euros) will make you believe. Pleasant details: a crown protection device and curved lugs that go slightly downward, for a good comfort. The dial is also pleasant and well conceived, with two separated tracks for the minutes and hours, several finishes and steps and nice facetted applied indexes – matching with the hands. 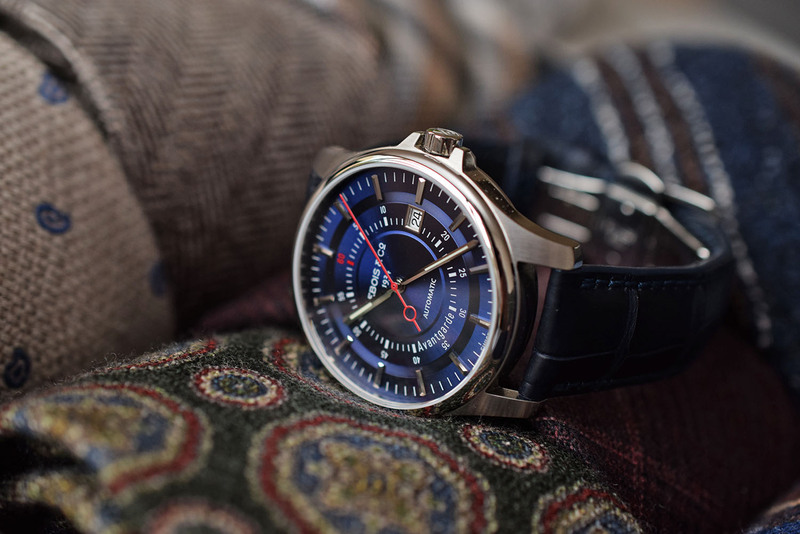 For the new Kickstarter campaign, the Lebois & Co Avantgarde Date will be available in a new color, mixing a deep blue dial, with white inscription and still a red second hand. The watch will be delivered with a Genuine Louisiana Alligator in blue and an additional NATO strap. It is powered by a reliable and functional Swiss ETA 2824-2 movement, with automatic winding and date feature – which again proves the very good price / quality ratio. 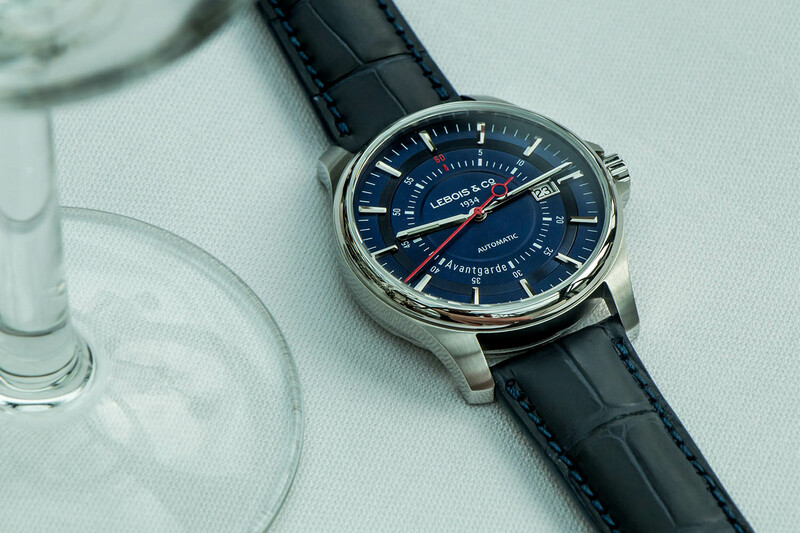 The Lebois & Co Avantgarde Date Re-launch Edition will be produced in 100 pieces. Subscriptions are now opened through this link (until April 24th, 2016) and the watches are expected to be delivered in October 2016. 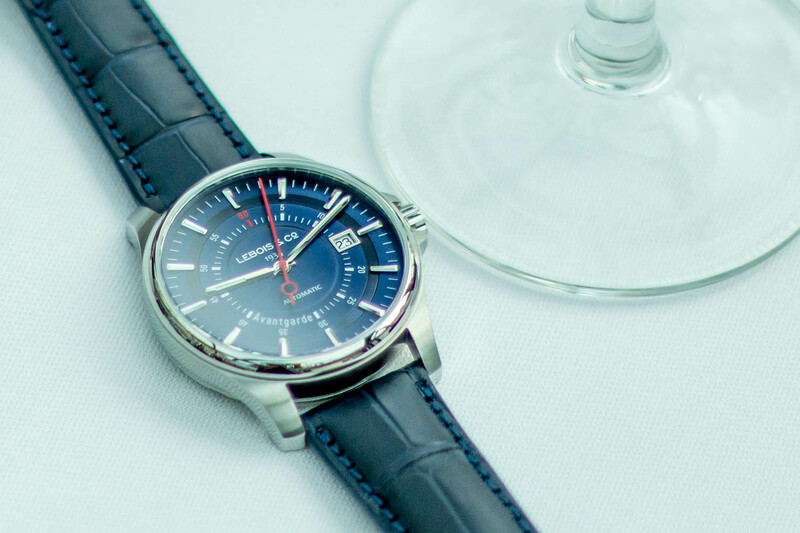 Several options are available, including one with a dinner with the Lebois & Co team (isn’t it cool to meet with the people behind your watch…? Will Omega do that?). 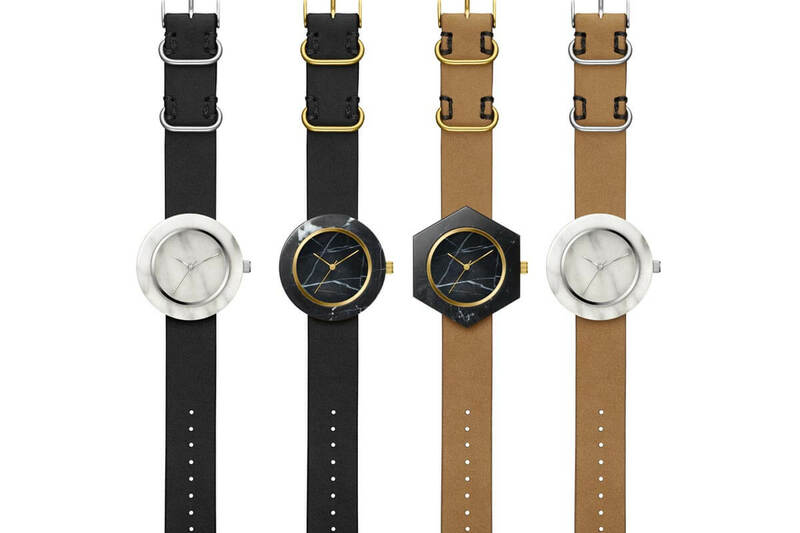 The watch, during this Kickstarter campaign, will be priced at 975 Euros. Once the campaign ended, the normal price will be 1,700 Euros – meaning, you’re better be fast. leboisandco.com. Looks very reminiscent of an Omega Hour Vision, blue Orbis edition. ETA 2824 is the life of the party. No wonder Swatch is threatening to pull the plug. I suspect the only reason they don’t is because the 2824 clones would fill the void in an instant.